It’s nice to see how Port Adelaide is slowly being rejuvenated with more and more businesses moving into the area. One business, however, that has been there for quite some time is the Greek inspired pizza place, El Greco. 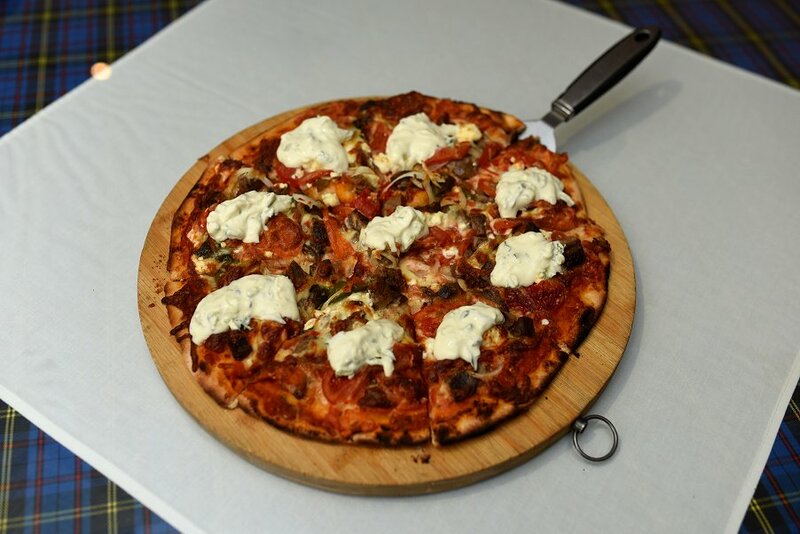 From the same owners as the Greek restaurant next door, El Greco offers Italian favourites such as pizza, pasta, risotto, salads and sides. Pizzas come in two sizes; 9 inch small and 12 inch large. For dinner tonight, we felt it was fitting to go with the Zorba which is topped with lamb yiros, onion, fresh tomatoes, oregano, garlic, grilled capsicum and feta cheese. The pizza came out 15 minutes after ordering and was what you expected from a “yiros” style pizza. The lamb was lean, juicy and succulent, and you could tell a good quality meat was used. The saltiness of the feta cheese was balanced by the sweetness of the vegetable toppings. The garlic sauce had a lovely thick consistency and worthy of being in any yiros, let alone pizza. The base was crispy and had the same thickness throughout. Possibly one of the best Greek style pizzas we’ve had! The staff were friendly and welcoming, and the service was attentive and efficient. While we didn’t try anything else, our pizza was certainly up there. Small pizzas range from $13-$15, and large pizzas, $17-$22. We were told Sunday nights are the nights to come where they have a live band, but for great pizza down at the Port, any day will do!